The name of Strigel and of the Strigel workshop has a certain ring in Swabia and in particular in the city of Memmingen where it was located during the fifteenth and sixteenth centuries. Several male family members are known for embarking on an artistic career. They also frequently became council members in Memmingen and one of them, Bernhard Strigel, was even appointed as court painter to Emperor Maximilian I whom he portrayed several times over. Being created in a moment of artistic change from the late Gothic to the Renaissance and in a situation of political and religious turmoil in the Holy Roman Empire with both the Reformation and the Peasants' Wars having direct impact on Memmingen's civic life, many works of art produced by the workshop have been lost or misattributed since the sixteenth century. The publication of Enikő Zsellér's doctoral thesis sets out to re-establish the Strigels' former importance and to re-insert their creations into the artistic and societal context in which they were once commissioned and appreciated. 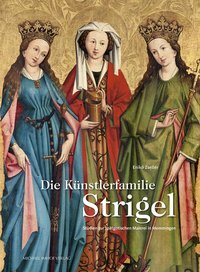 Zsellér wisely limits her investigation to two generations of Strigel artists, in particular Hans Strigel the Elder (d. 1462) and Hans Strigel the Younger (1450-post 1479) together with Ivo Strigel (1430-1516) and their respective workshops. She, therefore, discusses mostly religious commissions, altar wings and murals, some of which are still displayed in their original settings in southern Germany, while others are now in museums for example in Germany, Switzerland and Hungary. Her presentation of artists' workshops, biographies and commissions is accompanied by a rich and detailed catalogue section, in which many of the difficult issues of attribution, provenance, iconography and patronage are being addressed. The introductory chapters on the state of scholarship, source material, methodology and on the Strigels' biographies alone attest to how complicated and overdue an undertaking this investigation was. Even though the modern engagement with the output of the Strigel workshop goes back to Wilhelm von Bode's fortuitous identification of the creator of Johannes Cuspinian im Kreise seiner Familie (1520, private collection) with Bernhard Strigel in 1880, it took until the second half of the twentieth century for more intensive research, including the careful analysis of archival sources, to start in earnest. Bernhard - not least for his many portraits in an altogether more modern style - continues to receive much scholarly attention, while the generations of his family treated in Zsellér's volume are usually seen as somewhat old-fashioned in terms of iconography, subject matter as well as the media used (e.g. murals). Nonetheless, it is important to understand that at the time of their creation these altarpieces etc. were produced for locations in some of the most prosperous cities of the empire, and they were influenced by Netherlandish painting and by some of the prime exponents of the Danube school. Thus it is interesting to see that for all their close ties to the imperial city of Memmingen several generations of Strigels also entertained connections to Ulm, to the area near Lake Constance and to Switzerland, i.e. the Canton of Grisons, in part by paying personal visits, in part by contacts to a local clientele, and in part through the exchange of artistic ideas through the increasingly thriving medium of prints. Hans Strigel the Elder (b. around 1400) seems to have established the workshop in Memmingen, where he kept using a late Gothic iconography, displaying elongated figures of saints, with few emotions, an elaborate gold background and little if any natural landscape, of the kind he had presumably picked up during his apprenticeship. His sons, Hans the Younger and Ivo, received their education largely at their father's workshop but - for all of their own apparent conservatism - were able to absorb other influences fashionable at their time, even though they would never reach the same degree of modernity of their son and nephew (?) Bernhard in the sixteenth century. Nonetheless, in particular Ivo established himself as a gifted art merchant and agent active in acquiring commissions both at home and abroad. The economic success of the Strigel workshop was sustained by the role the Hospital Brothers of Saint Anthony played in Memmingen and in the Grisons. 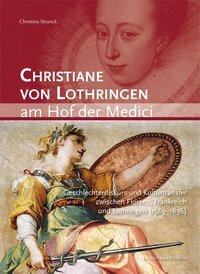 In the present book, three major points are investigated with great perseverance and diligence: Firstly, the establishment of biographies and family connections within the Strigel clan and their rise in Memmingen society as far as that is possible today (unfortunately, of the females little more than their names are preserved); secondly, the detailed (re-)attribution of the known works of art to the respective artists and workshops based on, thirdly, the evaluation of the development of style and iconography. 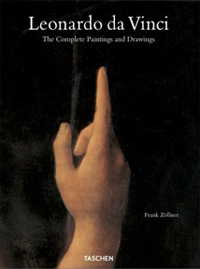 However churlish it seems to express criticism in such circumstances, it is exactly because of the detailed effort made by the author and because of the many pieces of information to be gained from the perusal of the volume that a closer intertwining of biographies of artists, workshops and objects with the catalogue proper and with the illustrations would have made this book even more satisfying to read. For example the discussion of the murals in the cloister of the former Augustinian convent of Saint Elizabeth is divided into section 5.4, pages 120-23, catalogue 2.2.2., pages 178-79 with the illustrations (figs. 154-162) being placed on pages 280-83. Such separation makes it very hard to follow the history of commission, creation, narrative of subject matters, appalling state of preservation over the centuries and (almost) total destruction since the 2000s. 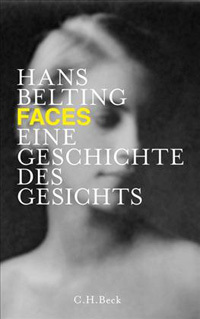 Of course, the book is not only about Memmingen, its leading families and main artists. The emphasis placed, however, on one of the main artistic workshops in one of the main imperial cities in Swabia makes one hope that the book will encourage Memmingen to pull its weight when it comes to presenting the former cultural, religious, historical and scientific importance to a modern audience. The extraordinary quality of much of the fifteenth-century Strigels' œuvre - perhaps in some cases comparable to works such as the earlier Wilton Diptych (c. 1395-1399, The National Gallery, London, inv. NG4451) - ought to persuade today's civic administration to deal carefully with the treasures still in existence, however badly they may have been preserved.